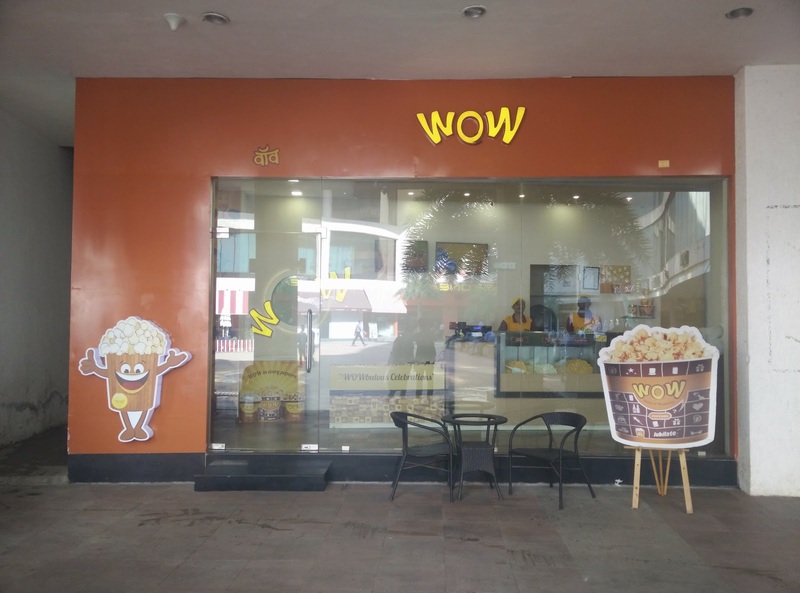 Jill Of All Trades: Wow'd by WOW Popcorn! 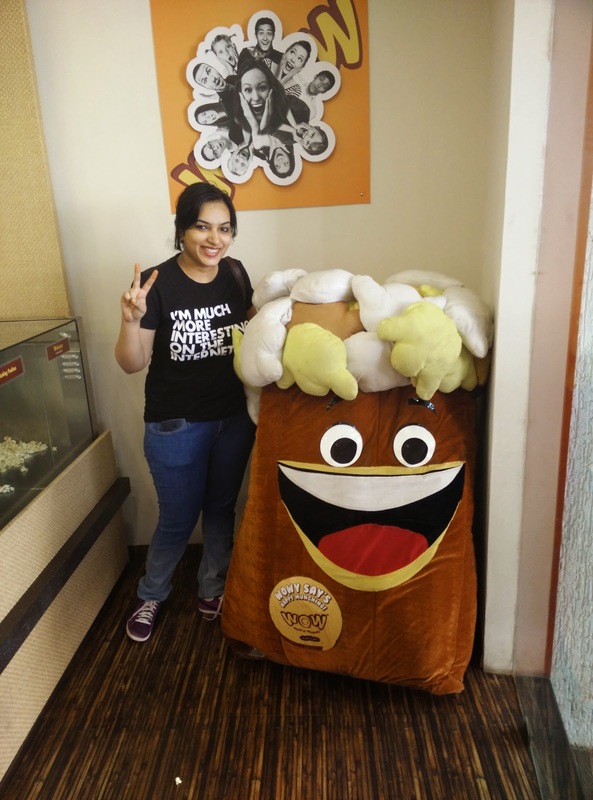 So I happened to visit WOW Popcorn Store at R City Mall, Ghatkopar last Saturday. I love popcorn, and well, who doesn't? Movies are incomplete without popcorn! I was really curious to find out what would they have in an entire store dedicated to just popcorn! WOW means World of Wonderful! The store is situated next to Starbucks and well made. 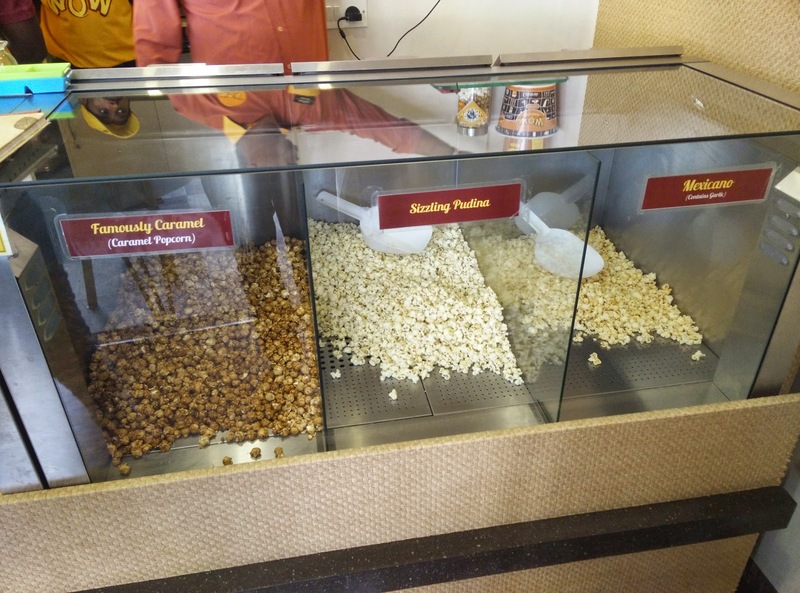 They have 6 flavours of popcorn, all fresh and served in three sizes. They actually have 8 flavours, but this particular store has only six of them; Cheese, Butte Salted, Spicy Cheese, Caramel, Pudina and Mexican. 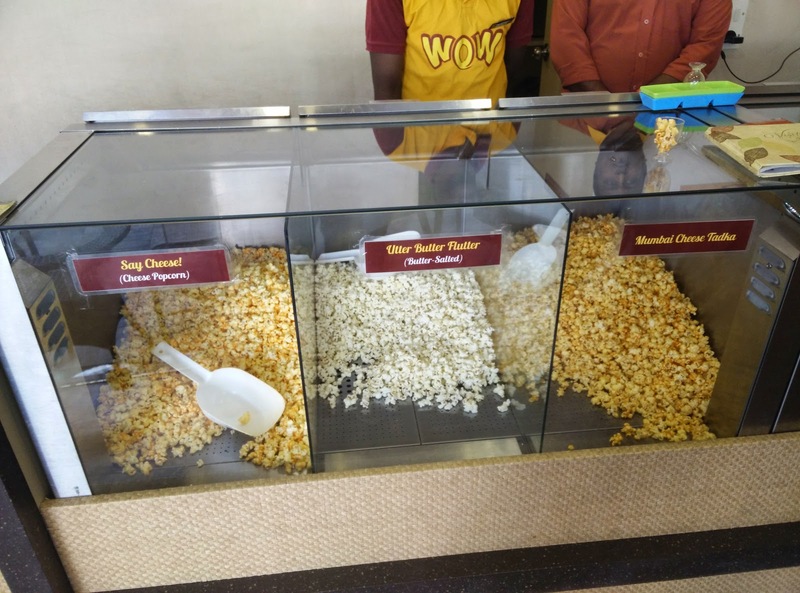 Most of us have already had salted, cheese, caramel, tomato flavours at multiplexes or at malls, so I was more interested in trying the Pudina, Mexicano and Bombay Cheese. They have these adorable small shot glass kinda containers in which they let you try any flavour you want, kinda inspired by how gelato stores let you try their ice-cream flavours! 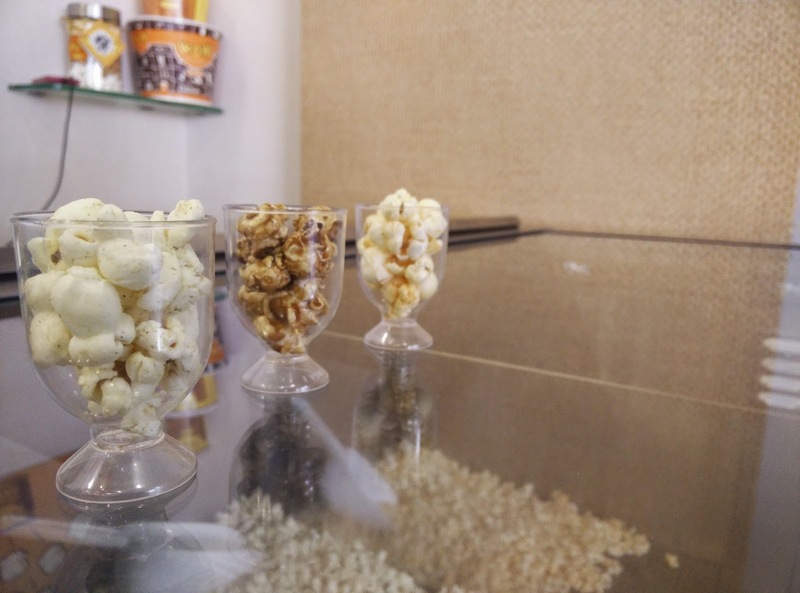 The popcorn were fresh and you could get the flavour in a single popped corn! I liked all the flavours but my two favourites were Pudina Popcorn & Caramel (I am a sucker for caramel popcorn). Their mascot is so cute! They also have this photo booth in one corner where you can wear props that they have and click selfies or pics! Love the concept! 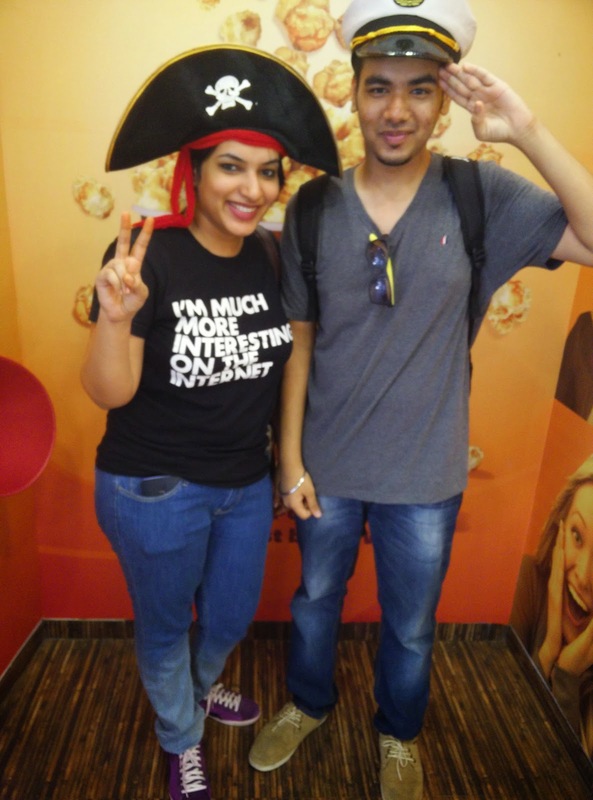 Me & my bro Chirag fooling around with the props! All in all, I think coming up with different flavours makes it interesting! The pricing is pretty competitive too. I would love to try more flavours, and maybe they could have chocolate pop corn fondue, or even add steamed corn, corn on the cob etc to their stores? WOW! 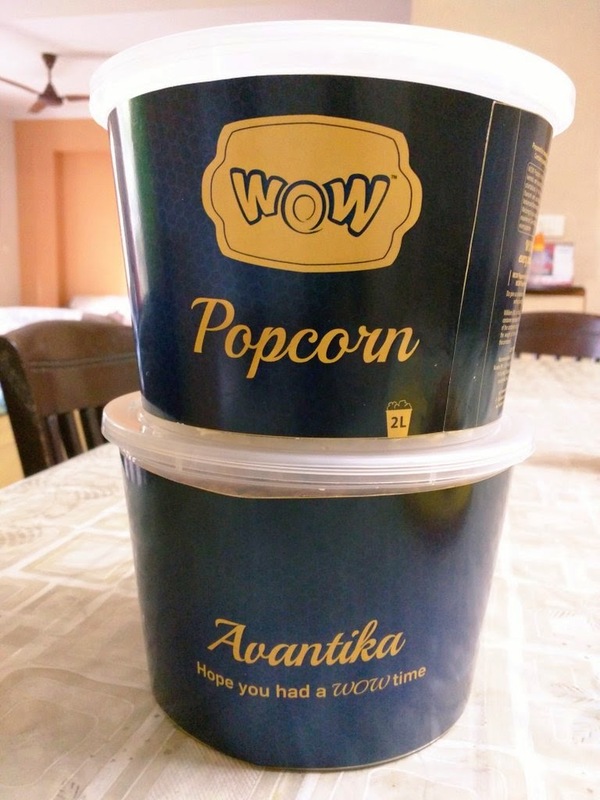 The best part was this so-not-expected customized popcorn tub for me to take away with my favourite flavours of their popcorn! I of-course shared it with my entire family, and it got over in no time! 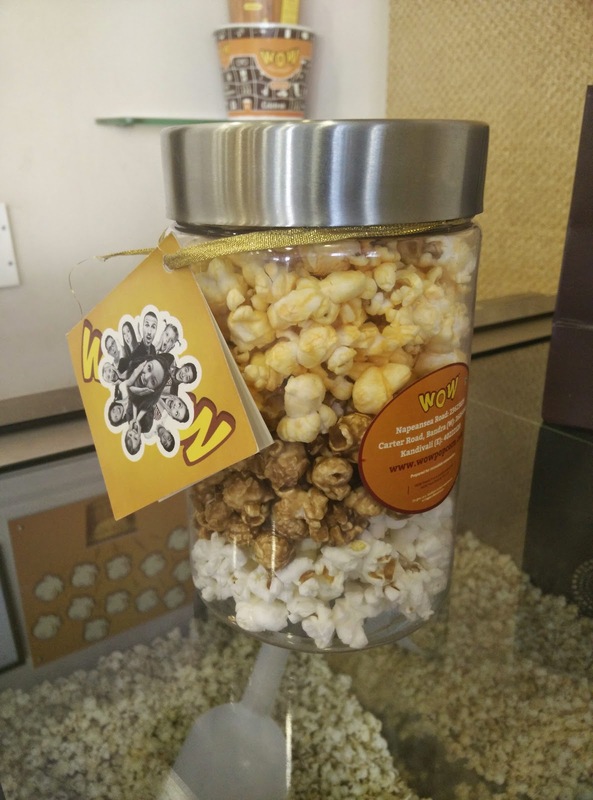 Everyone loved the caramel popcorn for sure! 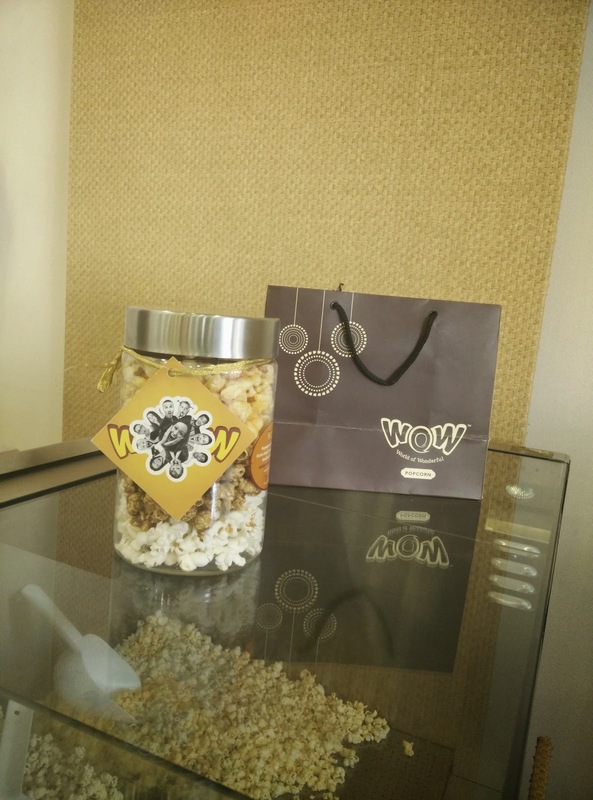 Thanks WOW Popcorn for the amazing gift. Follow them on Facebook & Twitter for latest updates, offers and contests!